The online world provides an open platform for people to engage in conversations and build relationships, just as they do on a daily basis with family members, friends, and co-workers. In fact, more people are using the Internet as a tool to engage in conversations online than ever before. 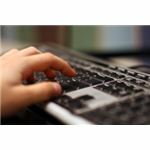 This allows for greater communication and a rapid exchange of ideas, but it also presents some new challenges, especially for companies seeking to maintain a professional appearance on the Internet. One thing to note about the Internet and its power is that it records and stores everything! Anything that you share online can later be read by a third-party, unless you took measures to make it secure. 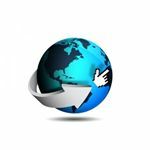 Most content does not remain at a single location online, but rather it's duplicated on other sites through trackbacks, references, or re-posts. Considering this fact, it is crucial for companies to make sure their employees have boundaries in the online realm just as they do while in the office. Online interaction is a two-way process, consisting of you sharing information with others and them sharing information with you. This occurs through various means, such as through blogging, Facebook, Twitter, or leaving comments. Your company can successfully maintain a professional brand by monitoring both forms of interaction. 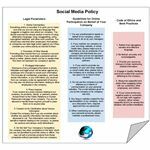 Social media policy can be divided into several sections depending your company, its legal jurisdictions, and the ethics it asks employees to embrace. You must also inform the employees that failure to abide by these rules can result in serious ramifications, such as deletion of the post or comment, or suspension. Following is a list of guidelines and rules that you can modify to suit your company’s framework and internal policies. Please download the attached file for referral if you wish -- you'll find a link at the end of the article. You can also use this as a handout to give to your employees, in addition to posting it online. You should also note that this list must be updated according to new laws as they are introduced, as well as changes in your company policies. These parameters below define what you can be held responsible for by the company or by third parties. Abiding by these rules is an obligation that you must exercise when using any social media sites. Everything online is recorded. 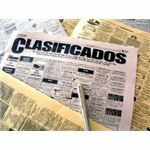 It is upon you to make sure that you are not using any language that suggests a negative view about our company. You should exercise the utmost caution in terms of using defamatory language, lying, exaggerating, using copyrighted materials, and other such practices. You should also note that other employees, third parties, or companies can take legal action against you if they consider your online activity as harmful to them. Promoting other brands from our company’s account is prohibited. If you must state a personal opinion about a matter, please clearly convey to readers that this does not represent our company's opinion. Disclosure of any privileged information is strictly forbidden and legal action will be taken against any employee who chooses to reveal such information. 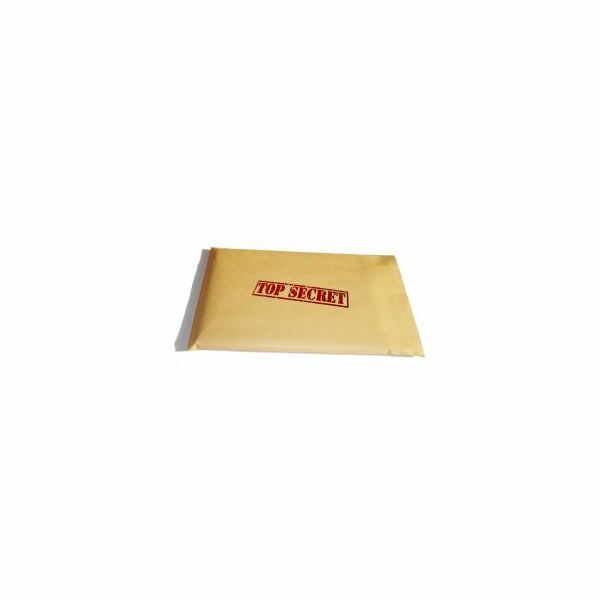 This includes all confidential, proprietary, and trade secret information, or any information you received from our company under an agreement of secrecy. You may also not disclose information relating to other employees in the company. If you receive any press inquires relating to our company, its products, clients, or partners, please forward them to the Public Relations or Human Resources manager of our company. You are not allowed to handle these inquires yourself or pass them on to anyone else. 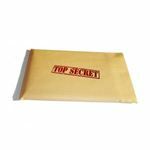 Contact the company first if you are uncertain about whether any specific information has been publicly disclosed or not. This information could contain sensitive material relating to the company, so please be cautious and always verify beforehand. Our company has other competitors in the field, which you are not permitted to promote online or offline. You may not sell or promote products from these companies without permission from our company. 1. You are unauthorized to speak on behalf of our company, unless instructed to do so by your managers. 2. If you mention our company on your own blog, website, or social media sites, please make sure to state that you are an employee of our company and that these are your personal views and do not represent the company, its products, clients, or partners. 3. 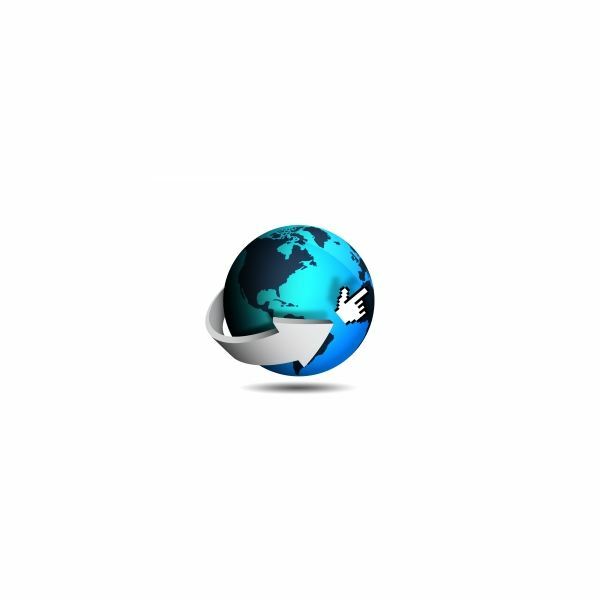 If you want to promote our company on your own blog, website or social media sites, please inform the company as a courtesy so that it can be tracked when needed. 4. Do not use the company’s email address as a means of communication on your personal websites. The email address given to you by the company is for company use only. 5. Any blog or website created for the representation of our company, such as a discussion forum, requires approval from our personnel. 6. When mentioning our company on your personal accounts, please maintain a professional voice. 1. Refrain from derogatory remarks and offensive language. 2. Be factual, accurate, and knowledgeable. 3. Provide your source by linking to it when mentioning outside information. 4. Engage in healthy feedback and avoid conflict that could be defaming to the company. 5. Always be respectful and polite when engaging online with our customers, other employees, and visitors. 6. If you come across any negative posts or comments, do not reply with negative remarks, rather remain respectful and try to remedy the situation with positive feedback. Please note that the company will monitor, delete, reply and or correct any posts or comments when needed. If anything is unclear to you about our policy on social media, please ask us or refer to the Department of Public Affairs in your state. 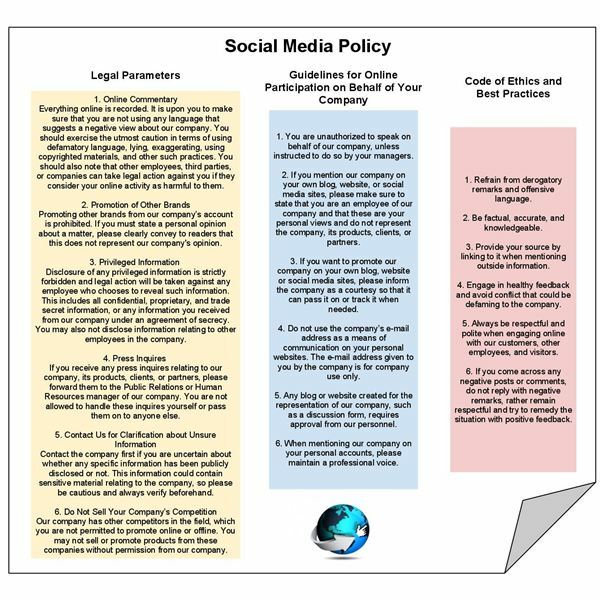 Click here to download your social media policy hand-out displayed on the right.